You can avoid hearing aid damage by keeping it clean. Although your healthcare professional will typically clean your hearing instruments every time you visit, it’s also a good idea to keep your hearing aids in good shape when you’re at home. 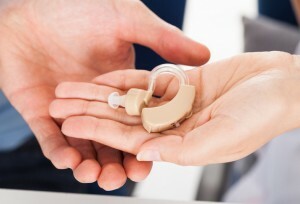 Hearing aids are tiny pieces of technology that have to fit into the tight, warm and damp conditions of your ear. It’s important to keep your hearing aid in optimal shape to avoid future damage or problems. In order to clean your hearing aid you’ll need the right tools. You should get a specialized wax pick and brush for clearing large amounts of earwax that may clog the microphone or receiver of your hearing aid. Try to set up a cleaning routine, and avoid washing your face while the hearing aid is out to prevent unwanted moisture from getting on your device. Clean your hearing aid at the end of the day when it will be removed, and do not use chemicals or alcohols that could damage the device. You can purchase tools specialized for cleaning hearing aids online or over-the-counter. Consult your healthcare provider to determine what tools are best for your particular device. Hearing-aid cleaning brushes, ear hooks, wax picks, and wire loops are some of the most common tools used for cleaning hearing aids. Using a soft-bristle toothbrush or tool, clean out the holes and microphone ports on the device. Gently hold the device while cleaning and angle your cleaning tool downward so that debris doesn’t fall back into the holes. Clear out the inner holes and finish by wiping the entire device with a clean, dry cloth or tissue. Use a wax pick to remove earwax or debris that’s anywhere on the device. Remove the hook from the earmold and clean it with soapy water. Afterward, force out water from the tube with a blow dryer and then leave it in a safe place to dry overnight. This entry was posted on Friday, July 22nd, 2016 at 10:12 am. Both comments and pings are currently closed.